After a prolonged period, many parts of Madhya Pradesh are receiving rain and thundershower activities. Now a trough is extending from West Rajasthan up to North Madhya Pradesh. And another trough is extending from eastern parts of Uttar Pradesh to Karnataka across East Madhya Pradesh.The combined effect of both these weather systems is expected to lash fairly widespread rain and thundershower activities over many parts of Madhya Pradesh. In fact, we can say that both eastern and western parts of the state are expected to witness first good spell of Pre-Monsoon rains. These weather activities will mostly be light to moderate in intensity, but few heavy spells cannot be ruled out.Have a look at the live status of lightning and thunderstorm across IndiaHailstorm storm activity along with strong surface winds of about 50 kmph gusting up to 60 kmph over few places are expected occur in many parts of Madhya Pradesh. Thus, in the wake of rains, heat wave conditions have abated from most parts of Madhya Pradesh and are not likely to make a comeback till April 18.Even though rains will be widespread today but by tomorrow weather activities will start receding from few parts of the state. Rains will start vacating places like Indore, Bhopal, Ujjain and Ratlam. 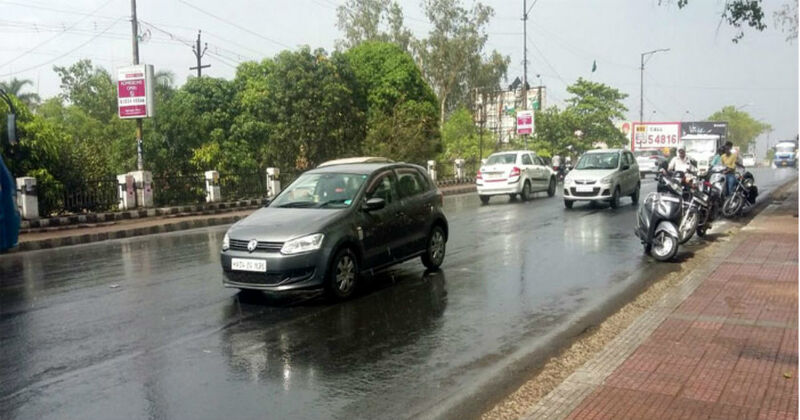 Meanwhile, places like Gwalior, Morena, Sidhi, Satna, Rewa, Jabalpur, Damoh and Mandla will continue to witness rain and thundershowers till April 17.Crop damage is likely in parts of the state as hailstorm and strong winds will drop down the crops. Further, from April 18, weather conditions will start clearing from the entire state of Madhya Pradesh. .Image Credit: PinterestPlease Note: Any information picked from here must be attributed to skymetweather.com..